Derwent® are proud to announce its first product in the fine arts painting category, which will see the extension of the ever-popular Inktense range. Launching the Inktense Paint Pan Travel Set in March 2018 will further broaden the selection available in Derwent’s water-soluble range. The Inktense Paint Pan Travel Set ensures artist’s on-the-go can continue their creativity wherever they are by combining a water-brush with a portable pan and vibrant Inktense colours. Retailing at £22.99/€27.99/$34.99, the innovative product features a waterbrush alongside 12 of the most popular Inktense colours. Being both compact and portable, The Derwent Inktense Paint Pan Travel Set will ensure that artists, both experienced and new, will be able to create work, wherever they are. And unlike traditional watercolour paints, Inktense is fixed when dried, meaning a vibrant wash can be applied without affecting previous layers. Plus, due to Inktense’s unique formulation and portability, the product can be used on a range of materials, including paper and fabric – anywhere at any time. The Inktense Paint Pan Travel Sets will be made in their Cumbrian factory, continuing Derwent’s commitment to manufacturing in the United Kingdom and the brand’s association with the Made in Britain campaign. 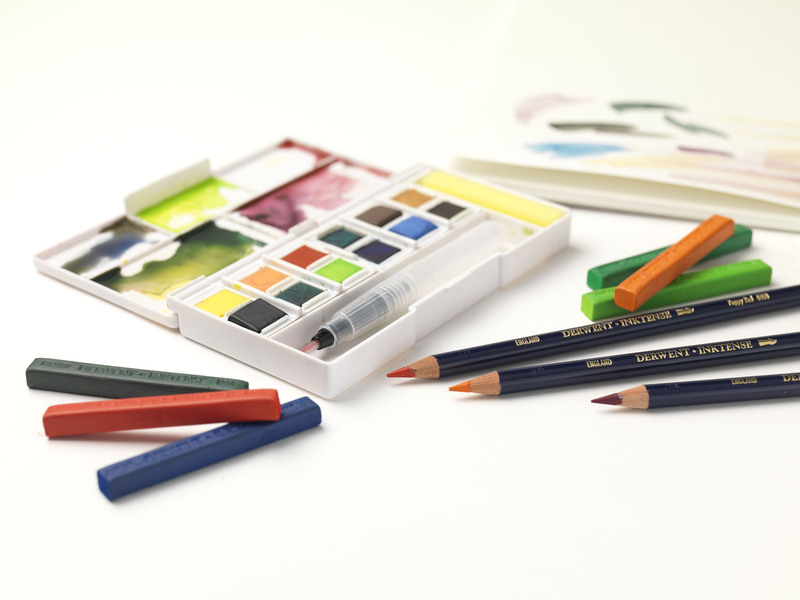 Mike Stranders, Vice President and General Manager at Derwent said: “We are extremely proud to launch the Derwent Inktense Paint Pan Travel Set, our first entry into the high quality fine art painting category. “Through extensive research and product trial, we’ve ensured the product is exactly what artists – both in Britain and internationally – require. The Derwent Inktense Paint Pan Travel Set will be available in stores and from DerwentArt.com from March 2018.